One of the thing’s I found hardest to believe when I joined Slimming World was that I could eat a HUGE beefburger and still lose weight!! Yes it really is true as long as you follow the recipe below.. Serve with our delicious Syn free Slimming World chips too! This recipe will make two burgers. Serve with healthy options i.e lettuce, slice of tomato, cheese slice (from healthy a allowance), Onion etc.. Or try our Syn free coleslaw. I like to serve mine with cheese, bacon, lettuce and tomato. – Add mince, onion, Worcestershire sauce, garlic, paprika and a pinch salt and pepper to a bowl and mold together with hands or you could use a food processor. – Add beaten egg and keep molding together until you could form sticky burger shapes that wouldn’t fall apart. – Create two burger shapes. 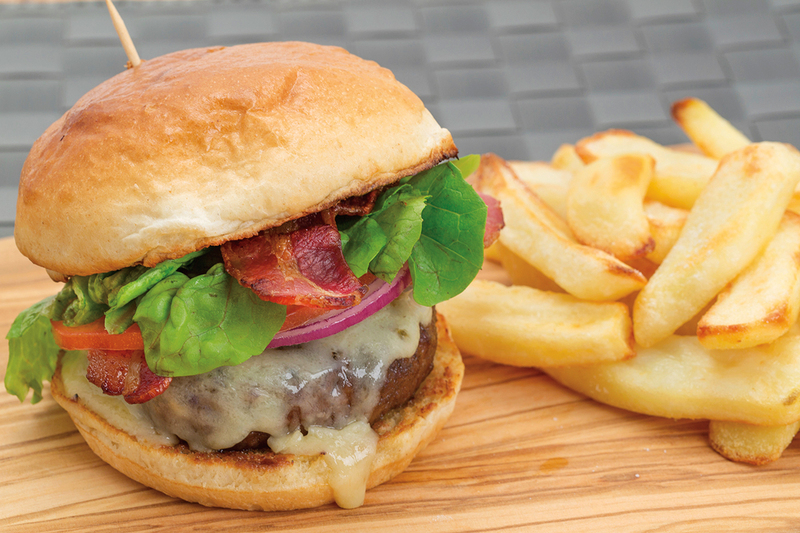 – Add a little frylight to a pan and cook your burgers on a medium heat turning often and ensuring they are piping hot all of the way through.